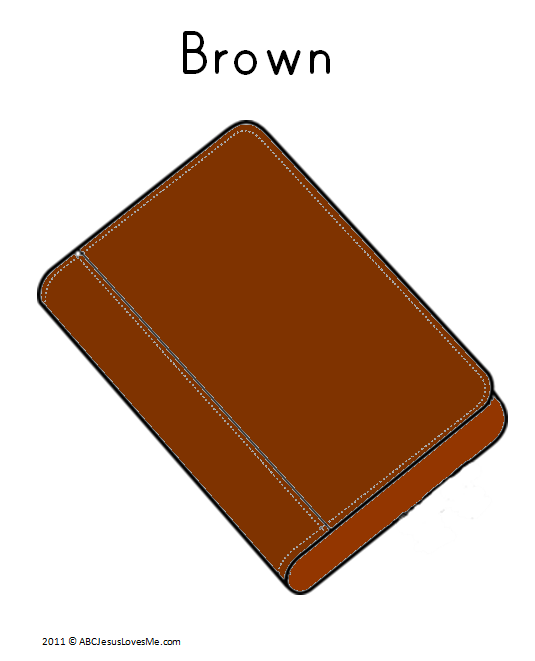 Books: Bible, Brown Bear, Brown Bear What Do You See? Self-care and Manners: Say "Excuse Me"
- For next few weeks, the child will learn the stories of Christmas. 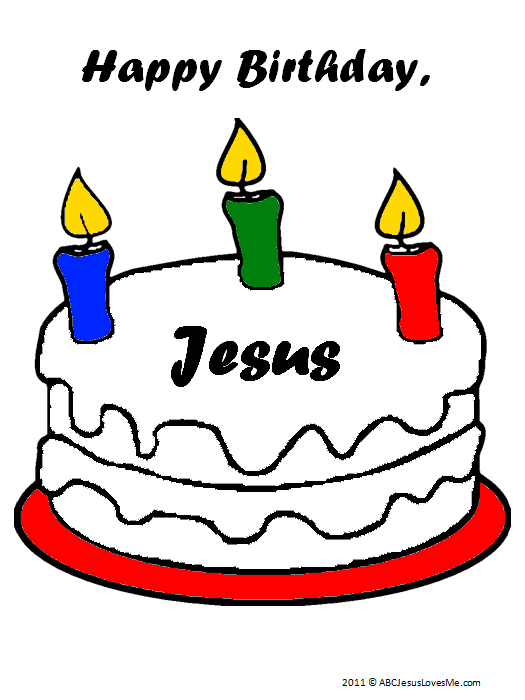 Collect all of the activities and crafts to form a "Happy Birthday, Jesus" book. At the end of the study, a cover worksheet will be provided to bind the pages together. - Color and cut out the Angel worksheet. Glue to a piece of construction paper. 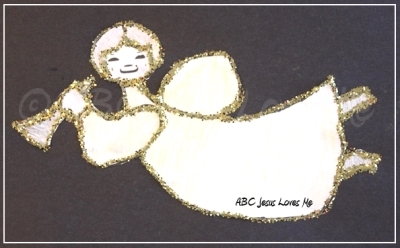 Outline the angel with glue and sprinkle with glitter. Let dry. Discuss how the angel told Mary and Joseph that baby Jesus was going to be born. - Color one of the ABCJLM Brown Worksheets with a jumbo brown crayon. - Eat brown food: Chocolate, brownies, hamburger, chicken, chocolate ice cream. - Do a Color Walk: Walk around the house or neighborhood looking for the color brown. 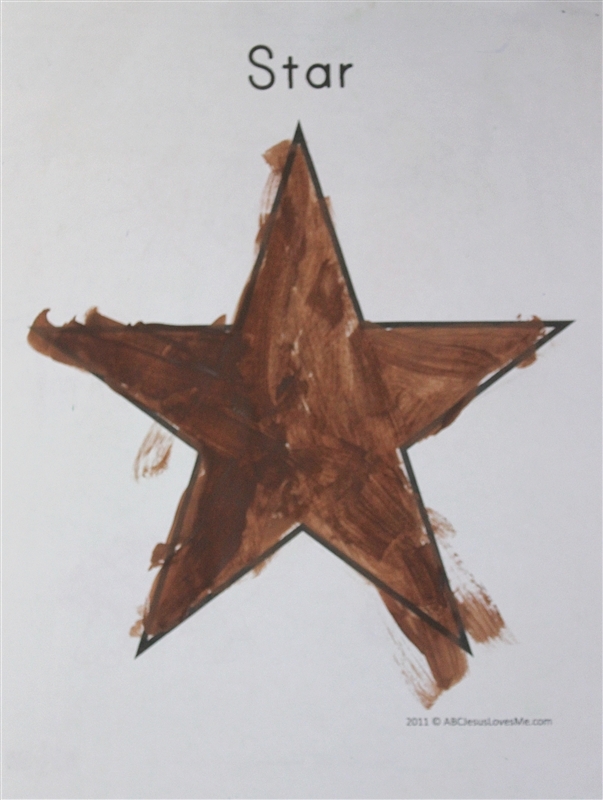 - Color, paint, or draw on the Star worksheet with the color brown. - Sing "Twinkle, Twinkle Little Star" while doing this craft. - Do a Shape Walk: Walk around the house or neighborhood looking for stars. 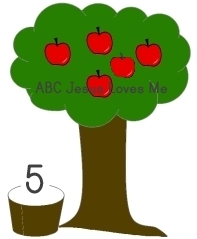 This week use fingerpaint to decorate the Apple Tree Number #5 worksheet. Add five apple stickers. Continue to count items throughout the day. Help the child remember to say "excuse me" when sneezing, making a loud noise, or needing to pass by. Saying "excuse me" shows respect for those around. - Allow the child to finish the end of the phrases and name the animals at the end of the book. - Fingerpaint the Bear worksheet with brown paint or chocolate pudding. Play with water, containers, and a sponge. Transfer water by filling a sponge with water and ringing it out into another container. Encourage the child to use both hands to ring out the water. This week is the first of many Memory Obstacle Courses suggested in the ABCJLM Curriculum. View the video and read the information on a Memory Obstacle Course to understand the objective and set up. This week, add pictures of the animals (puzzle, flashcards) to the course that may have been in the stable when baby Jesus was born. To add another level of difficulty, ask the child to "Bring me the animal that says...".